In a world in which people feel more detached and disengaged than ever, South Texas College is making it a point to stay connected. 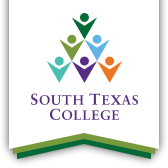 Founded in 1993, South Texas College now serves more than 34,000 students, offers more than 120 degree & certificate options, and is the only community college in the State of Texas to offer four baccalaureate degrees. Despite this growth, STC remains firmly rooted in the culture of South Texas and takes great pride in serving and connecting to the community which it serves. Charles Neumann, chair of the Fine Arts Department, sees this community-focus as also highlighting the role that the arts are supposed to play in society. While critics of the arts often question their practicality, mounting evidence suggests that the role of the arts in society is actually quite significant, especially when it comes to training the kind of well-rounded workforce the jobs of the future will require. Over the last several years, there has been a growing movement among scientists and artists across the country to revise the educational focus on STEM (Science, Technology, Engineering, Math) to a focus on STEAM. Significantly, the “A” stands for the “Arts” and highlights the creative-thinking, problem-solving, and collaborative skills they bring to the table. According to Buhidar, it is the ability of the arts to teach these elusive “soft skills” that makes them a strong and smart choice for not just artists, but future scientists and entrepreneurs alike. In a survey of 500 U.S. senior executives by Adecco, one of the world’s largest staffing firms, 44% of them believed American workers lacked such soft skills as communication, creativity, critical thinking, and collaboration. For Buhidar, Rodriguez, and Neumann, “working with other people,” and the skills required to do so, are a critical part of what they teach and what they do as artists. These are lessons that are naturally taught in the various ensembles that STC’s Music Department maintains. As students complete their AA in Music, which provides the practical and theoretical foundation they need to transfer to a 4-year college or university, they are encouraged to participate in ensembles as a way to develop their skills and learn how to behave and work in a group. In STC’s Drama department, those lessons are taught to students as they work together to put on several, often sold-out, productions a year. Compared to larger 4-year programs, the intimate size of STC’s Drama program means that students are able to assume key roles designing, performing, directing, promoting and managing all aspects of the production. In the Fine Arts program, students have a choice between focusing on the Visual Arts, for students who want traditional training in the arts, or Graphic Arts, which prepares students for careers as graphic designers and the like. Regardless of a student’s track, collaboration is emphasized throughout his or her studies, and especially in the service-learning component of the student’s final class, or capstone. In it, students not only learn what it takes to be a working professional but must also fulfill a service-learning requirement that puts them to work for a local, art-based non-profit. But Buhidar, Rodriguez, and Neumann don’t just teach collaboration, they practice it as well. “We’re kind of our own little support group for the arts,” laughs Neumann. “We have regular meetings and we talk about what’s coming up and how we can help each other out. When the Drama Department decided to produce a musical for the first time in several years, they consulted with the Music department, which helped them secure musicians and even supplied a student of their own for the production. Similarly, for a production of August Strindberg’s surrealist, one-act play, A Dream Play, Neumann was tapped to help design the set dressing upon which digital images would be projected, while Assistant Dean of Humanities Christopher Nelson, Ph.D., served as the production’s dramaturge. As for the future, Buhidar, Neumann and Rodriguez are excited about more collaboration, more conversation, and of course, more community. Talking is, after all, where all relationships start. And that means, at least at STC, it’s also where all community begins.